This month, our lady behind the lens, Tina Earnshaw, tells us more tales from set and guides Warpaint through her go-to products as we delve into her kit bag. WP: Which products do you take with you regardless of the job? TE: You know what I think is wonderful and you can do a whole make-up look with it? It’s the big palette by Le Maquillage – if you were stuck, you could do a whole face with that. 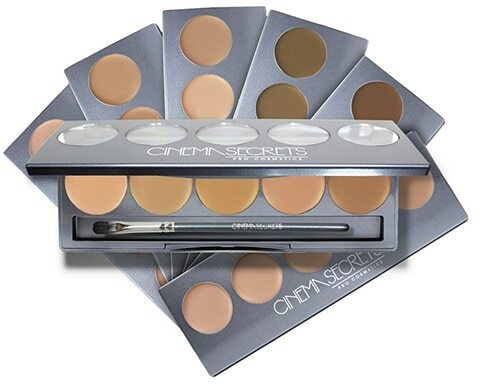 All those different concealer palettes are great, mine come from the States – I don’t know if you can get them here – the Cinema Secret Concealer Palettes are fabulous, and the PPI palettes are wonderful. If you have two or three of those in your kit, you can do scars or whatever really. I always keep 10 really good foundations. It’s really important to me that the skins looks great if you’re doing beauty anyway. If you get the skin looking right, you’re halfway there. WP: Which bases are in your kit? TE: I use a mixture. I love La Prairie if it’s used in the right way – it’s very expensive, but it’s beautiful. I love Chanel and I love Shiseido. 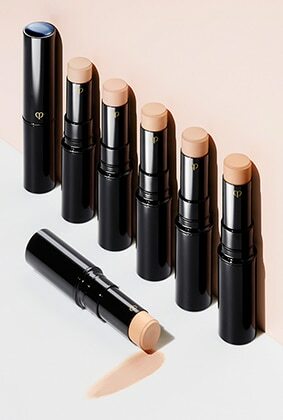 Also Cle De Peau which is part of Shiseido and it’s beautiful. 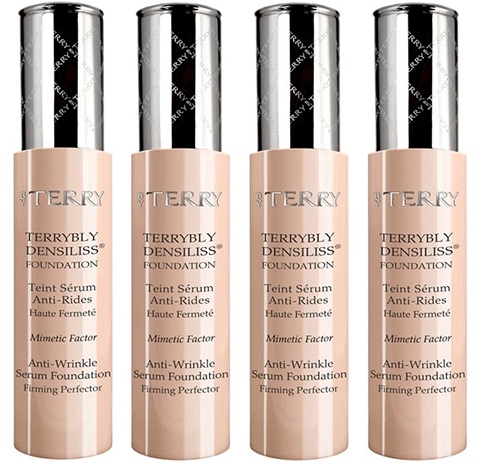 All the By Terry products are really good. The MAC Matchmaster ones are beautiful and MAC is great all round. 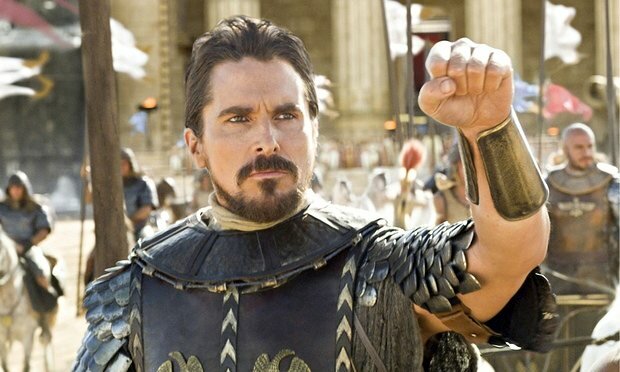 I used a lot of MAC on Exodus and they were very generous on the film. And Charlotte Tilbury’s products are great and they are a good price range and are not overpriced. She’s done very well. She’s got a great range. WP: When it comes to products for facial hair, why don’t you use lace beards anymore? TE: I don’t use them anymore because it’s going to be on HD and you can see every flaw. I’ve worked with a lot of Italians who are very clever at laying on and my daughter [Emmy winning makeup artist, Polly Earnshaw] lived in Italy for three years and she’s one of the only people in Britain who can do it properly. She did Tom Cruise the other day for a film, so that’s how good you have to be. Like on Exodus I had Jana [Carboni], who I’ve worked with for 20 years since Talented Mr Ripley – Jana came and did Christian Bale for me. It was all layered on beards and they last all day long, but it’s very technical and it’s worth everybody learning and practicing because that’s the way to go. With lace beards in that heat, you would be at it all day. Christian said to me, “I’m not going to wear those on my face,” and I said, “Well, you’re not going to need to,” and he never had this technique done before. Matt Damon in The Martian and Oscar Issac in the film The Promise, which I have just done, said they would never go back to wearing all those pieces which it so difficult. 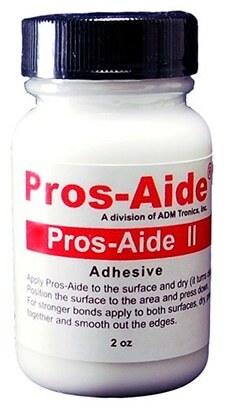 WP: What adhesives do you use for hand layering? TE: Pros-Aide – It’s worth learning, it’s a technique and it’s a very special technique. I know that Creative Media Skills do a two day course, though you really need longer than two days because it’s getting a picture of a way a beard grows and the way your layer the hair underneath if it goes a different way. You have to tong it; it’s all in the tong and the colour and mixing the hair. If you look at Matt Damon’s beard on the Martian, Jana did such a good job. I would only use lace beards on extras where you don’t have a lot of time, but I wouldn’t on main actors, not with close ups and how fine it is. WP: What brushes would you recommend? TE: I’ve just put out my own brushes again because I did it a few years ago in America. What I’ve done is I’ve done probably the best hair possible and they will last forever and they’re really beautiful. 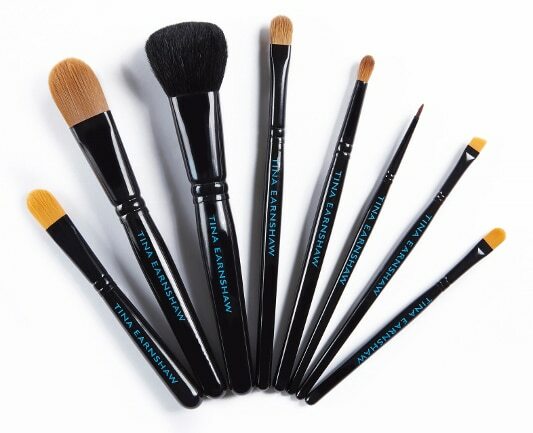 I brought out 21 beautiful brushes and there’s a 30% discount for make-up artists and students. I’ve made these stunning Japanese brush rolls and make-up bags. There are three different sizes – one holds 10, one holds 20 and one holds up to 40. They’re worth looking at. WP: When working abroad, are there any products you take with you that will keep the make-up on all day? TE: You just take everything with you so that’s tough in the heat, as there’s a lot of retouching when you’re working in a hot weather. There’s nothing that special which lasts all day. You pack everything and take it all with you. WP: You’re a graduate of the famous BBC system, which is sadly no more. What advice do you have for students today to get good training? TE: These schools which are going now – Iver Academy, Delamar, Brushstroke and Creative Media Skills – are fantastic. I’ve been round the schools recently to see how they are run, and these are amazing places. I know you have to pay for these courses, but they have such good teachers, probably better teachers than we had at the Beeb. In a way you’ve got the best people who are in the industry teaching at these schools, so that’s the way to go. 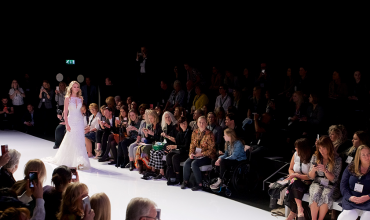 The London School of Fashion, which runs several make-up degree courses, is really good, and the short courses are very well done. I couldn’t believe how well they are run. WP: What’s your favourite make-up you’ve done? TE: I loved doing Kate Winslet on Titanic. 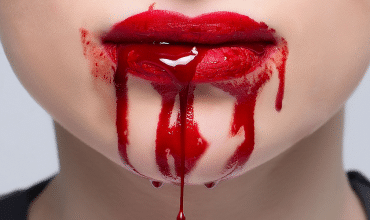 I loved that make-up – it was simple, but it was beautiful. She had quite a lot of make-up on because I want her to look like porcelain. My other favourite one was what I did with Gwyneth Paltrow in Talented Mr Ripley because it was set in the ‘50s. Sometimes she was fresh faced, tanned and I would paint freckles on her on the beach. Other times she would have the eyeliner, red lipstick and everything when she was really glam. That was one of my favourite films because the period was so good. It was a great period. WP: Do you have a favourite period to work on? TE: The ‘20s, ‘30s, ‘40s, ‘50s and the ‘60s. Those five are lovely and they are all lovely make-up jobs. The ‘70s and ‘80s weren’t so exciting, while those five are fabulous and you can go to town with them. WP: When you are doing period dramas, do you have a key reference book? TE: I have hundreds of reference books that I have collected over the years. I’ve been using Pinterest a lot to get boards and it’s such a great way to do your reference. I only discovered it about three years ago and it’s just wonderful. The film I did just before Christmas called The Promise is about the Armenians in 1912, it was like another genocide really. All the references I found for those poor people, a lot of it I found on Pinterest. I still go to museums, but you don’t need to as much now, you can find it online.